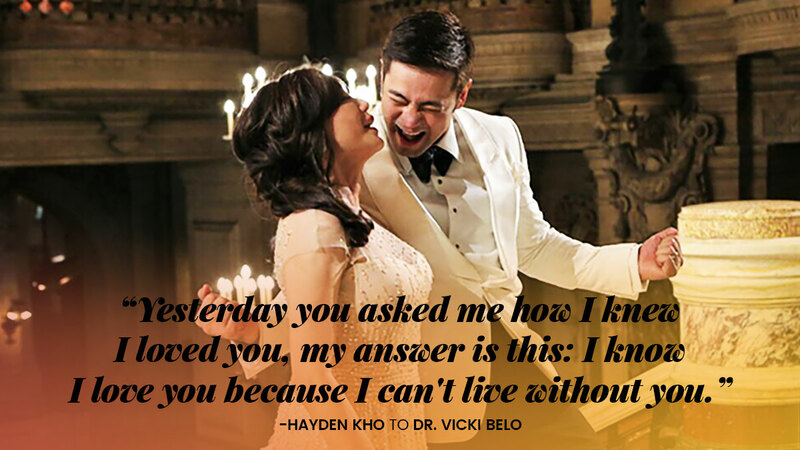 It's been exactly a month since Hayden Kho and Dr. Vicki Belo tied the knot in Paris, France but they've just released a snippet of their wedding video. In Vicki's latest Instagram post, she uploaded Hayden's emotional and heartfelt wedding vows to her, writing in the caption, "To celebrate our 1st monthsary, here's a sneak peek of @dochayden's marriage vows to me. Can't wait to share the full version soon." "You are my beloved. You are the one God gave to me to remind me of the meaning of my life. You are the treasure of my heart. There is nothing that you can do to ever make me stop loving you. I will be your forever kakampi even if I lose the friendship of everyone else. I will be on your side, by your side. And we'll sort things out together as we trust God. I will love you just as our Savior Jesus Christ commanded me to love you—genuinely, fully, sacrificially, honorably, and exclusively. I will never stop trying my best to be the best husband to you first and foremost, and a father to Scarlet Snow. I will honor my God-given responsibility to lead this family to holiness, righteousness, through faith, hope, and love. Yesterday you asked me how I knew I loved you, my answer is this: I know I love you because I can't live without you."